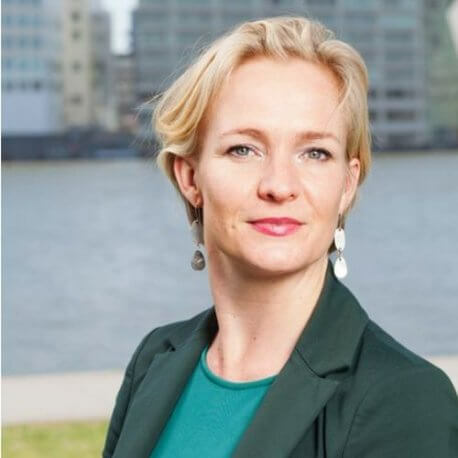 Marietje Schaake has been serving as a Member of the European Parliament for the Dutch Democratic Party (D66) with the Alliance of Liberals and Democrats for Europe (ALDE) political group since 2009. She serves on the International Trade committee and is the spokesperson for the ALDE Group on the Transatlantic Trade and Investment Partnership (TTIP). Schaake also serves on the committee on Foreign Affairs and the subcommittee on Human Rights. She is the founder of the European Parliament Intergroup on the Digital Agenda for Europe. Furthermore, Marietje Schaake is the Vice-President of the US Delegation and serves on the Iran Delegation and the Delegation for the Arab peninsula. She is a Member of the Global Commission on the Stability of Cyberspace and is a Young Global Leader and a Member of the Global Future Council on Future of Digital Economy and Society with the WEF.